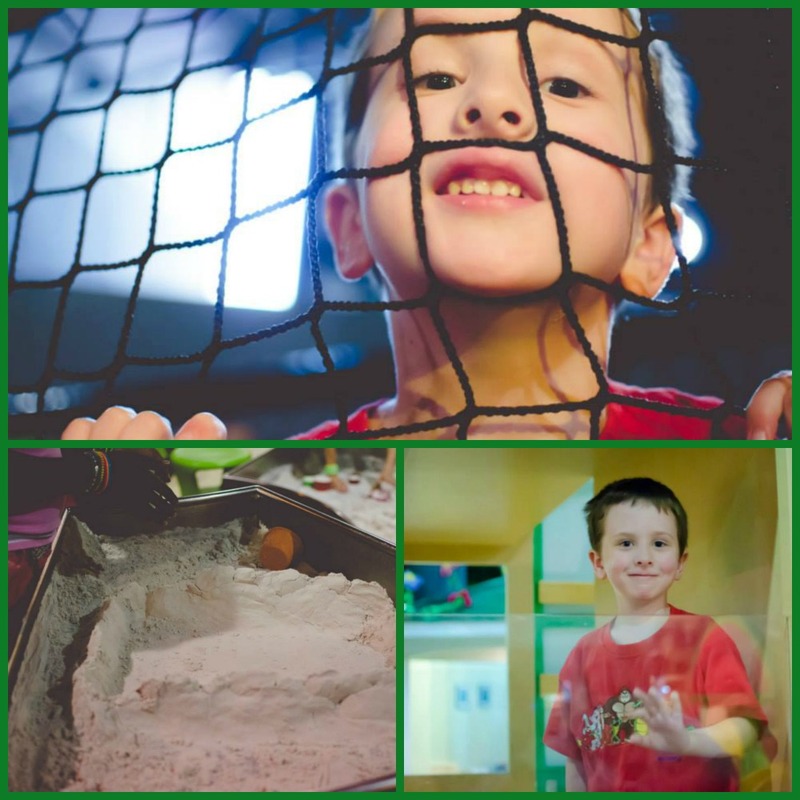 If you haven’t been to The Children’s Museum of Atlanta in a while (or ever), you need to round up the young ‘uns and hightail it down there! 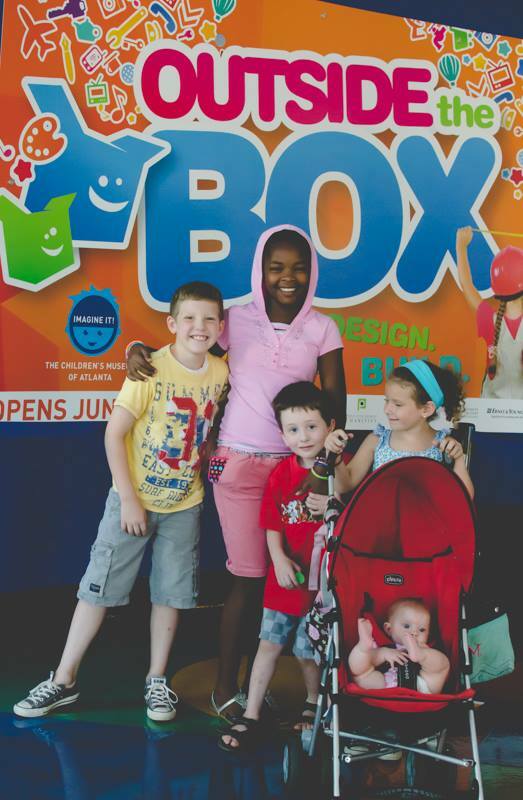 We had the privilege of previewing the new “Outside the Box” feature exhibit and it got two thumbs up from all the kids in attendance. But that was before our kids dove in and we saw how much fun they were having. 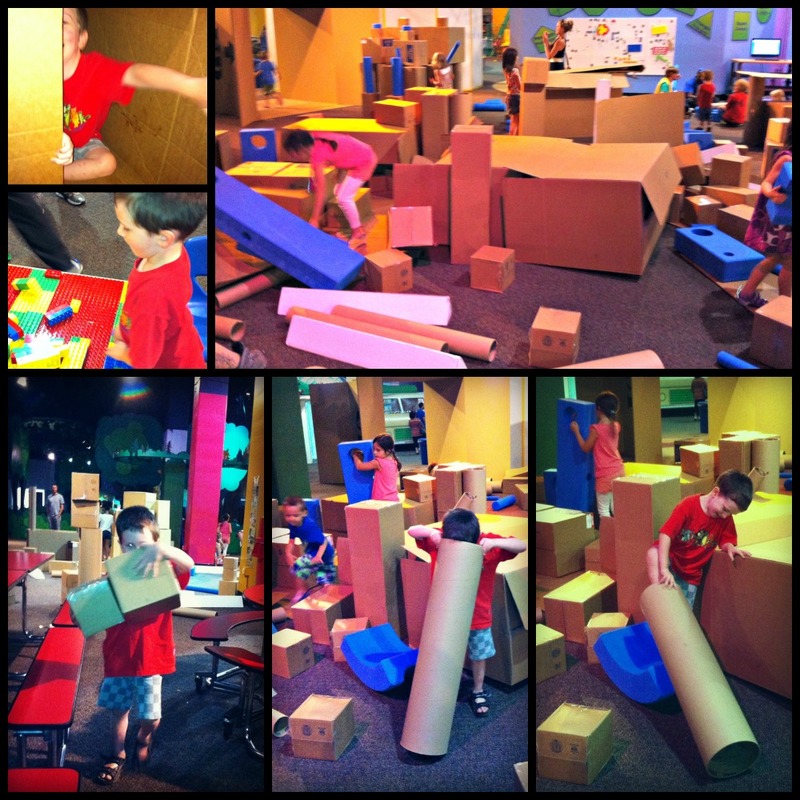 And I also must confess that this mama jumped right in with my preschooler Jonah and built quite a few towers to knock over. 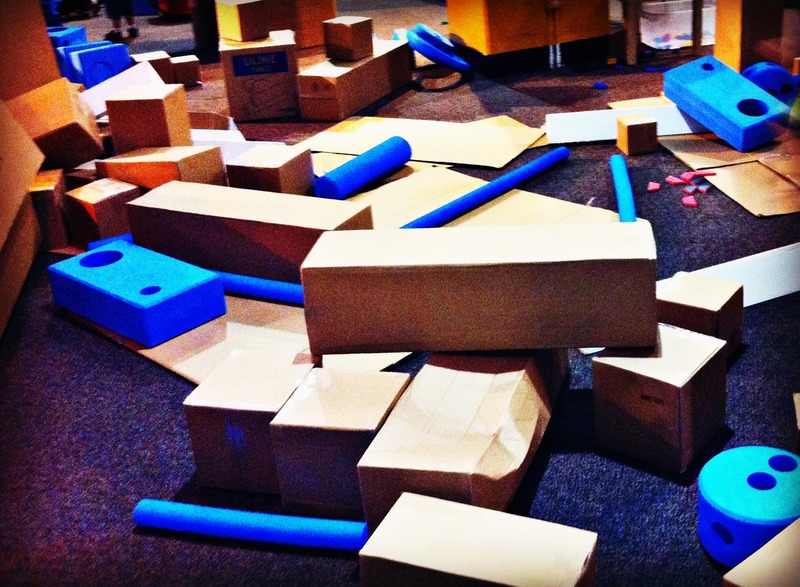 And we discovered that the huge cardboard tubes made the most delightful echoing thud when you knocked them over. I don’t care how old you are, that’s some serious fun right there! 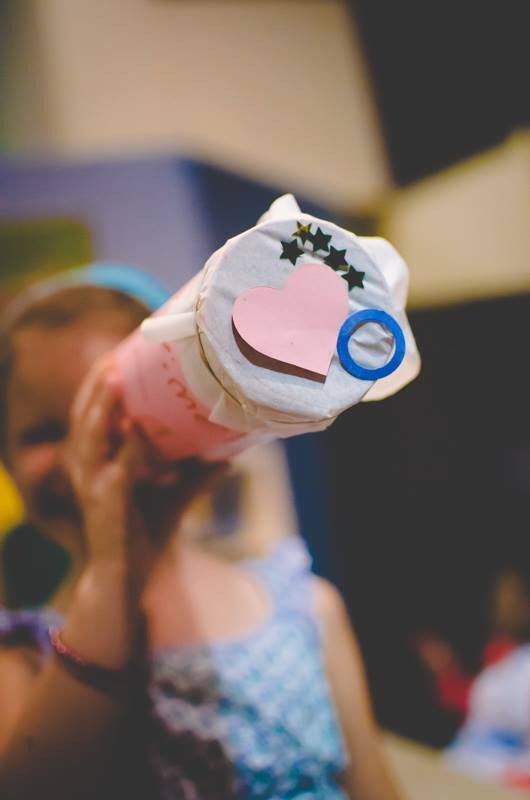 But then we discovered the other parts of the exhibit, and that included a well-stocked craft station, where the kids made piggy banks out of boxes and telescopes out of cardboard tubes. Also, this gave us an opportunity to really interact with the Museum staff and I have to say — they were incredible! So funny and helpful, so patient and engaging with the kids. They were great! My daughter really got into the computer part of thinking “Outside the Box”. I’m not sure what the software was called, but it was kind of like AutoCad for kids. She had great fun drawing and designing her own house. And painting it hot pink, of course! 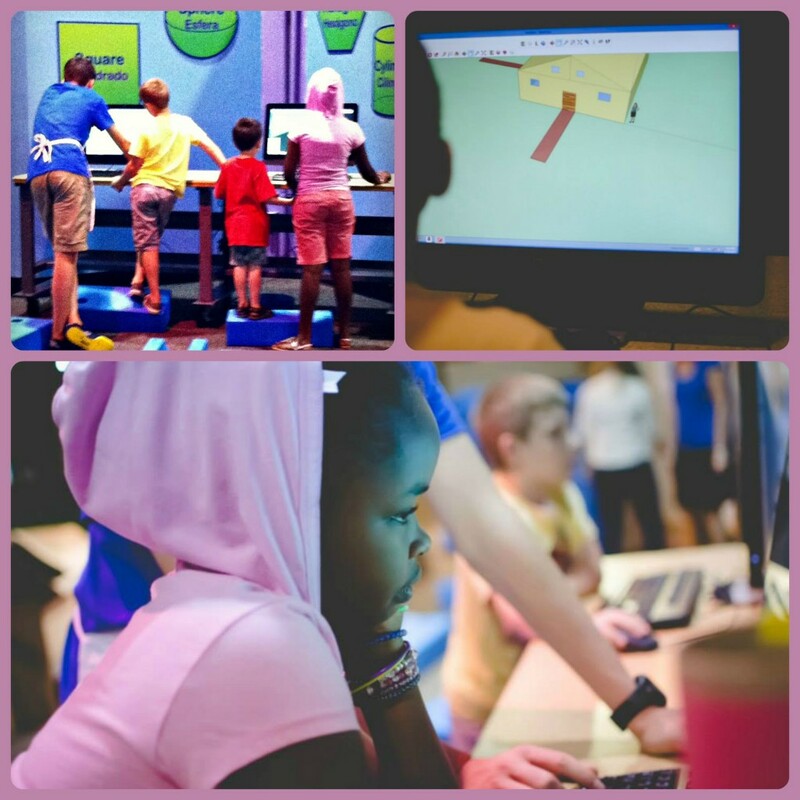 The Children’s Museum of Atlanta is geared mostly toward kids aged 8 and under, but I have to tell you — my 12-year-olds still have fun when we go. I saw quite a few older siblings there and they all seemed to be enjoying themselves as well. So don’t let the age recommendations keep you from bringing the whole family to experience this hands-on museum. Also, I find the admission price very reasonable, especially considering that you can bring in your own lunch from home. We opted to bring sandwiches and chips, and bought sodas from the museum’s vending machines. 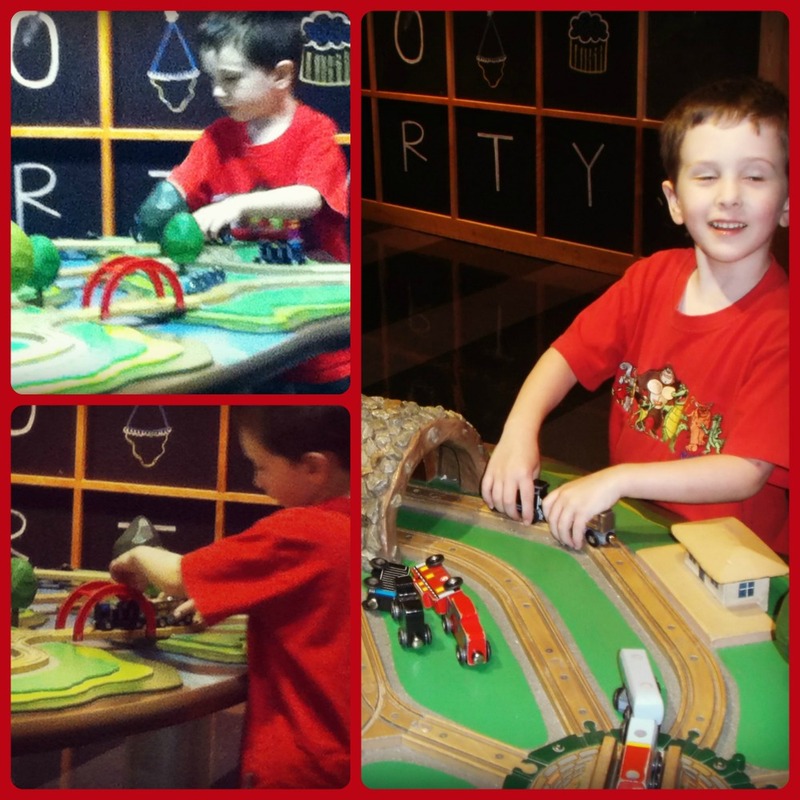 In addition to the new exhibit, my kids enjoyed old favorites, such as the train tables. Jonah is currently fascinated with bridges and tunnels, and he could’ve easily spent the entire day just playing with the trains. And then there was wall painting…. 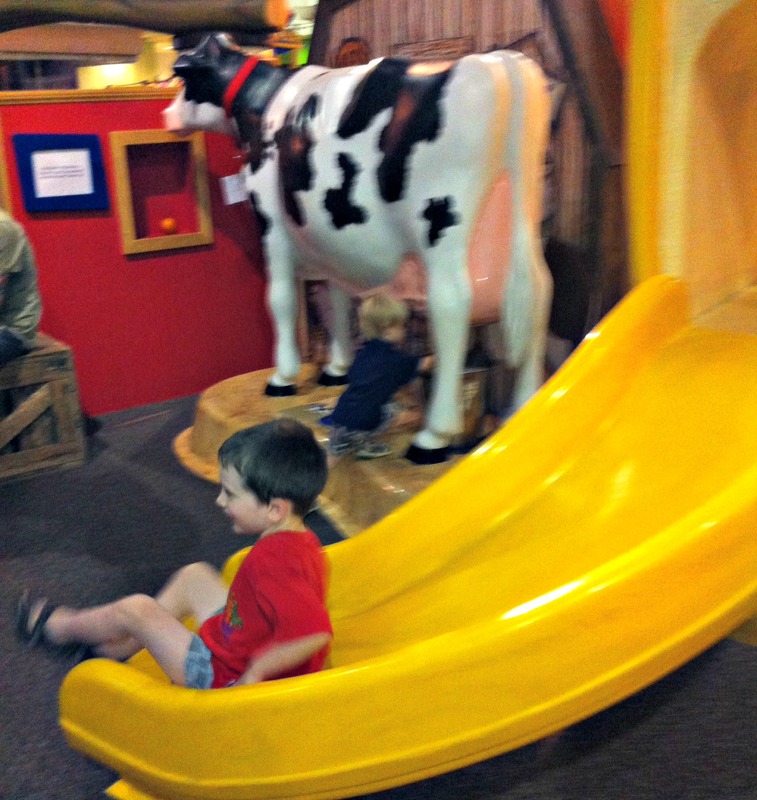 And Jonah thinks no trip to the “Childwen’s Mooseum” is complete without a few trips down the banana slide. 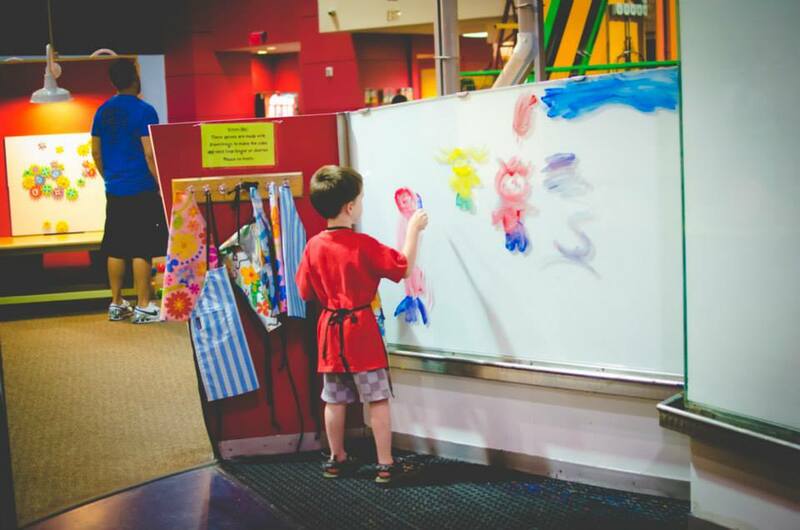 All-in-all, The Children’s Museum of Atlanta is a fun day trip for kids of all ages — definitely add it to to your summer fun agenda!